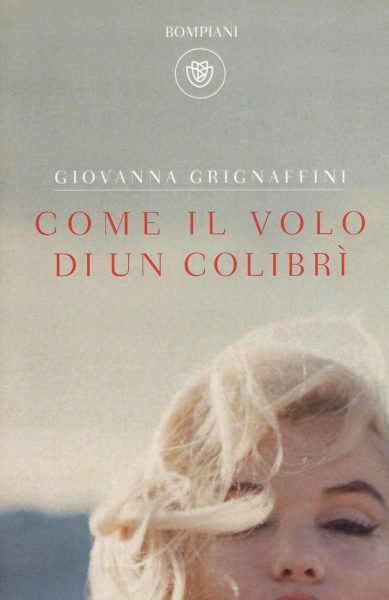 Come Il Volo Di Un Colibri, a novel by Italian author and politician Giovanna Grignaffini, was published in 2016. 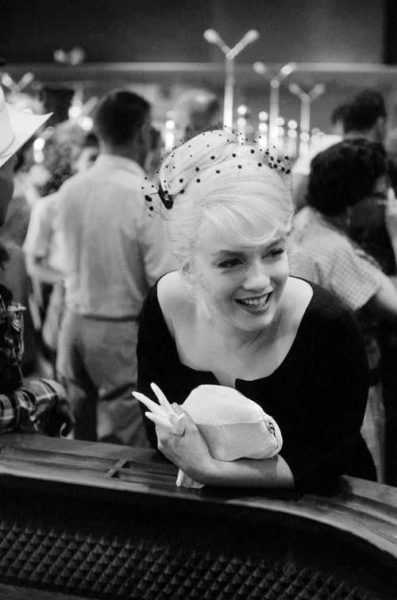 The title translates as Like The Flight Of A Hummingbird, which is how Marilyn’s acting teacher, Constance Collier, described her elusive presence; and Eve Arnold’s photo of Marilyn on the set of The Misfits graces the cover. 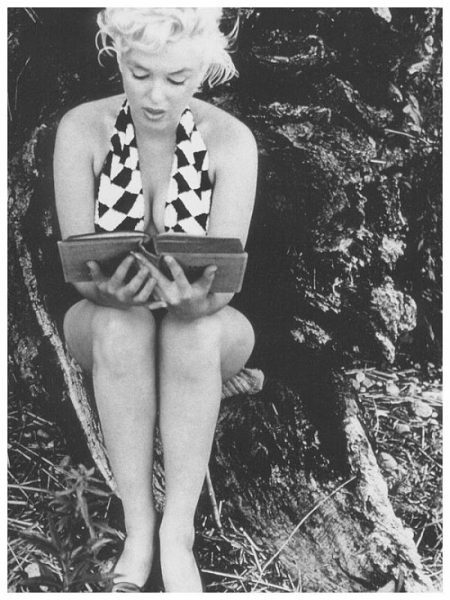 The novel – currently only available in Italian – is set in a house in the woods, where five people come together to discuss Marilyn’s mythic life. Lea Melandri reviewed it for Il Manifesto. 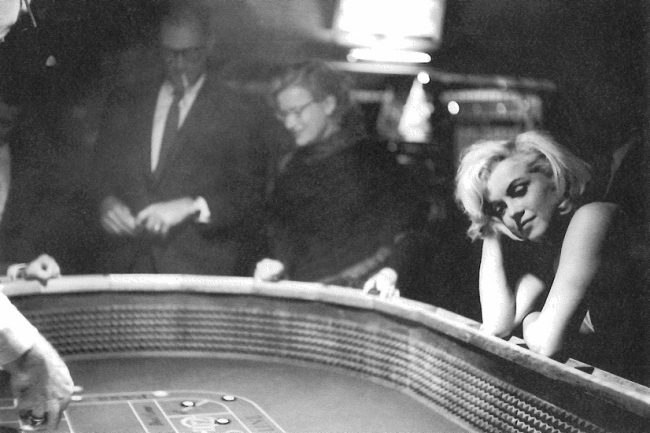 Eve Arnold’s work with Marilyn is featured as part of Women in Focus, a free exhibition at the Welsh National Museum in Cardiff, on display until January 28, 2019. 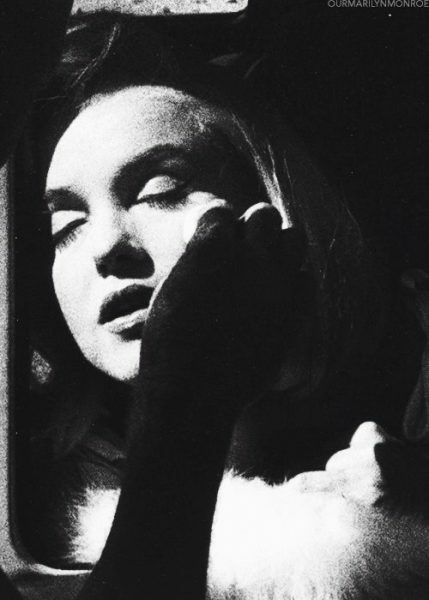 The exhibition Marilyn: I Wanna Be Loved by You opens on October 22 at the Hôtel de Caumont – Centre d’Art in Aix-en-Provence, France. 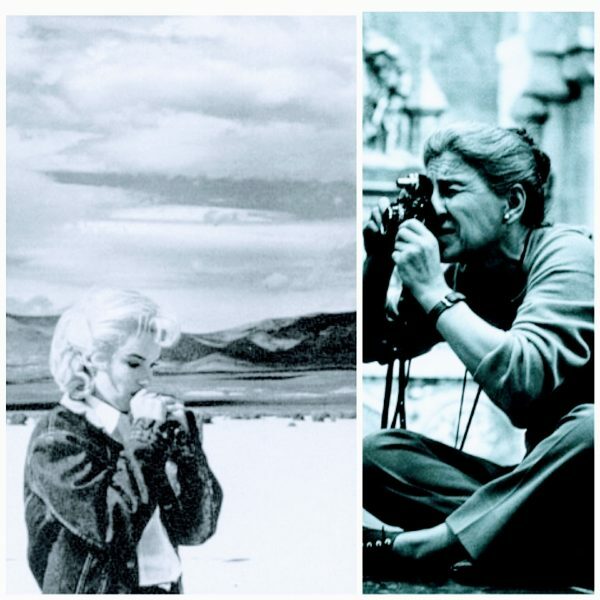 Featuring works by Sam Shaw, Andre de Dienes, Milton Greene, Philippe Halsman, Eve Arnold, Cecil Beaton, Richard Avedon, Ed Feingersh, George Barris, Bert Stern, and others. 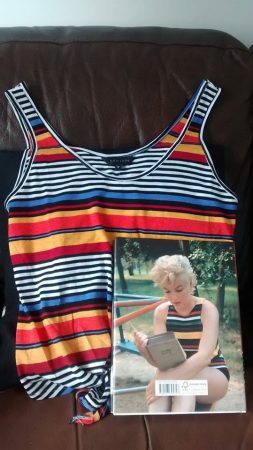 UK boutique New Look are currently selling a multi-coloured, striped vest top for £7.99, not dissimilar to the one sported by Marilyn in Eve Arnold’s 1955 photo of her reading James Joyce’s Ulysses. 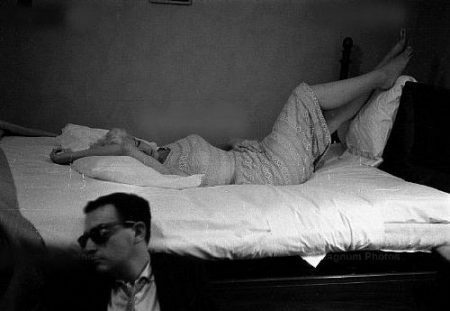 So why not give yourself an early Bloomsday treat? 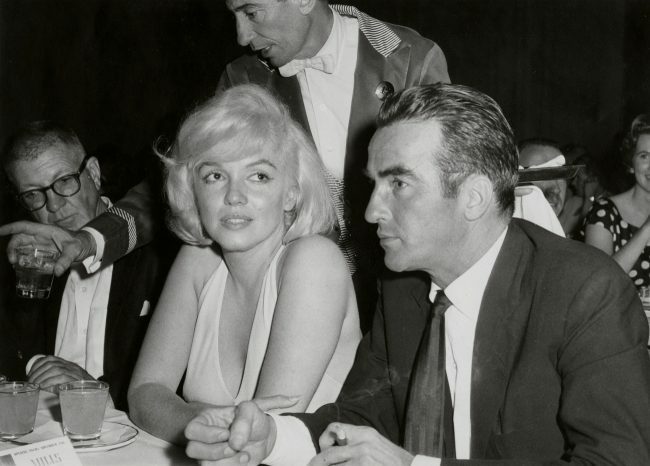 Almost sixty-one years after Marilyn’s trip to Bement, Illinois – in honour of Abraham Lincoln’s visit a century before – the town’s mayor is repaying the tribute, WCIA3 reports. 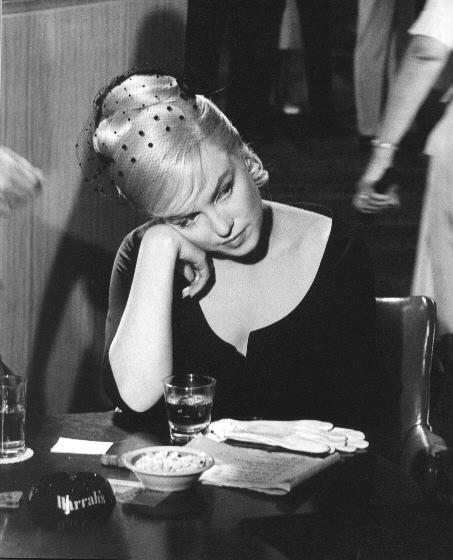 Pat Tiernan also owns a hair salon, and lives in the house where Marilyn stopped for a rest. 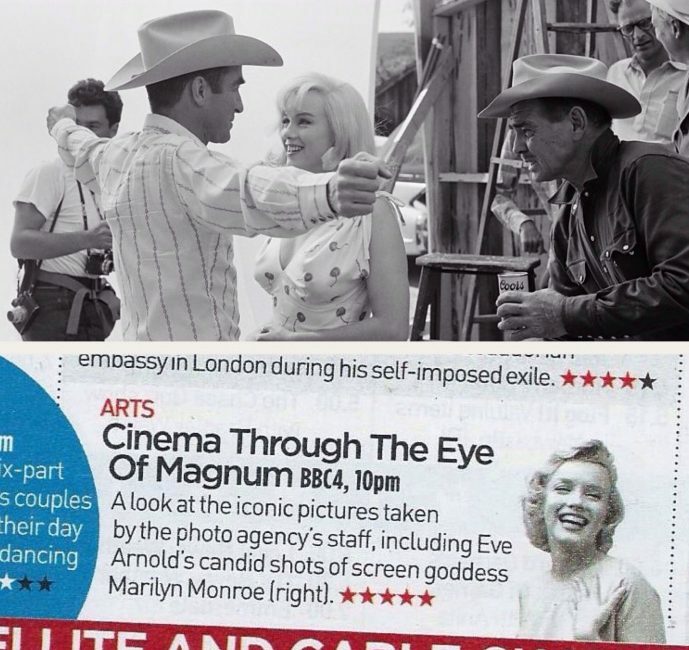 Photographer Eve Arnold, who accompanied Marilyn that day, captured the moment – with MM’s own hairdresser, Peter Leonardi, also in the frame. “Pat Tieman started cutting hair more than 20 years ago. The iconic face that’s all over Salon 101 has been around a lot longer than that. 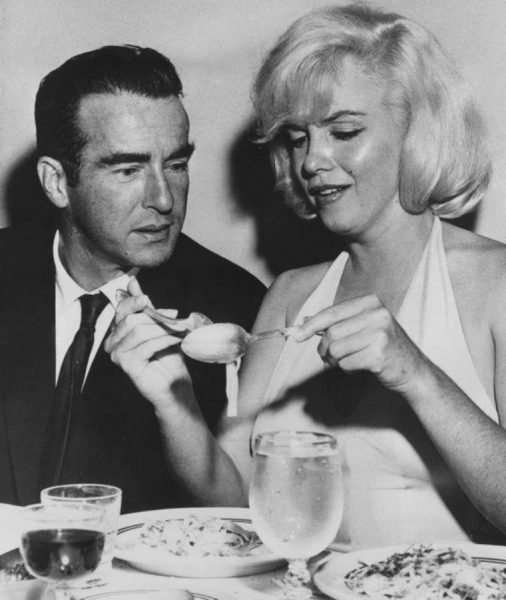 He’s got a collection of things connected to Marilyn Monroe. 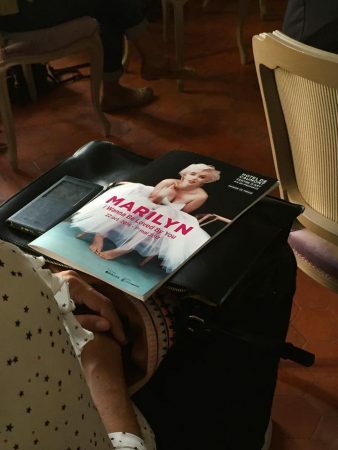 Ever since he moved into the Marilyn Monroe house in town, people started giving him stuff, like articles about when she visited, pictures and collectibles. Now he knows that piece of history forward and backward. People started giving him plates, statues and other pieces with her picture. His shop reflects his passion.